Upstate Medical University staff and students get to meet the next president during Dr. Danielle Laraque-Arena's visit Monday, Tuesday and Wednesday. Upstate Medical University’s next president is spending a few days meeting with hospital and medical school staff a few months before she takes over. Dr. Danielle Laraque-Arena was named to the post back in September. WAER's Chris Bolt reports on some of the priorities Dr. Laraque-Arena will focus on once she starts as new Upstate President in January. Doctor Danielle Laraque-Arena wants to bring people together to work on both community health issues and advanced medical challenges. A pediatrician by trade, she can’t ignore poverty statistics that show some Syracuse neighborhoods with some of the highest poverty in the nation. Dr. Danielle Laraque-Arena is a pediatrician by training, along with leadership posts at other health institutions, most recently in Brooklyn. She knows one of her roles will be to lobby for education and health funding, since the SUNY medical school and hospital are state-supported. But she says preventive and ambulatory care to keep more people out of hospitals is a goal of both state Medicaid changes and the Affordable Care Act. In addition to getting more into the community for care, Laraque-Arena envisions more team-building in med-school classrooms. She’d even like to see doctors work differently, suggesting brainstorming sessions between researches and clinical doctors. Medical research advances…and the care that results from them would both benefit, she says, with more people around the table – who don’t usually sit together. Laraque-Arena also acknowledges the milestone of being named the first woman and African American to run Upstate…but she also keeps it in perspective. Laraque-Arena takes over January 14th from Interim President Gregory Eastwood. He’s run the hospital and medical school since David Smith resigned over questions about outside payment agreements with a hospital vendor. Laraque-Arena is currently chair of the Department of Pediatrics at Maimonides Medical Center. She’s also professor of pediatrics at the Albert Einstein College of Medicine, Yeshiva University. Upstate officials say Laraque-Arena is considered a national expert on injury prevention, child abuse, and adolescent risk behaviors. 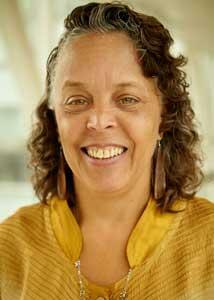 She’s also worked on delivery of care in underserved communities. Could the Doctor's "House Call" be Making a Return to CNY? For most Central New Yorkers, a house call from a doctor has been unheard of for decades. Now, the practice might be making a come-back. 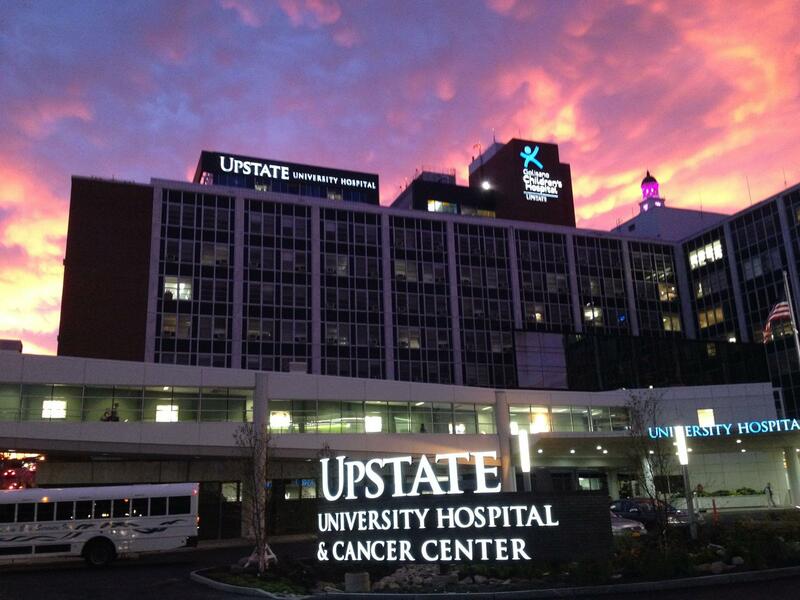 Upstate University Hospital is embarking on a trial effort to bring a doctor to the front door of residents in the eastern suburbs. The seed was planted about three years ago when the Fayetteville Fire Chief asked Dr. Christian Knutsen how they could avoid unnecessary ambulance trips to the hospital. Not all students in Onondaga County are truly taking a full winter break. Instead, twenty-four students were seizing the opportunity Thursday and Friday to get introduced to medical career fields. The 13th annual MASH camp has been held at Upstate University Hospital's Community General Campus every year. It’s a chance for Rural Metro’s Ed Moser to provide them first hand-experience. "My job is to teach them what it's like to be an EMT or a paramedic so we get to play with all the toys here today. Everyone wants to see how their heart rate is." Upstate University Hospital in Syracuse has been accredited as a Comprehensive Stroke Center by DNV Healthcare in Buffalo. It’s only one of two hospitals state-wide to receive the status. Upstate has expanded its Stroke care with medical technology that allows for real-time brain images and a specialized suite used by neurosurgeons for more severe cases. Director Dr. Julius Jean Latorre says that strokes are complex; however, his team is ready.